The solution is similar too. 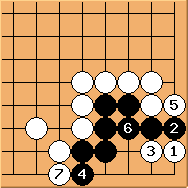 is still the key point and black corner suffers the same fate as in Shape 30.
does not work either. White has longer liberty. 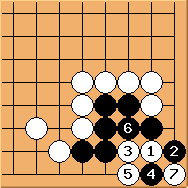 Note that white cannot play though. is incorrect. is important to form a ko. 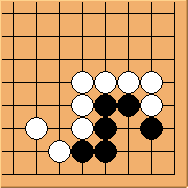 If black connects at first, allowing white to occupy , the corner would be dead. To summarise: this is another simple problem. 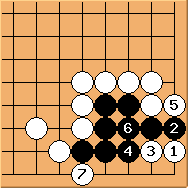 The tesuji in Diagram 31.2 should be memorised.